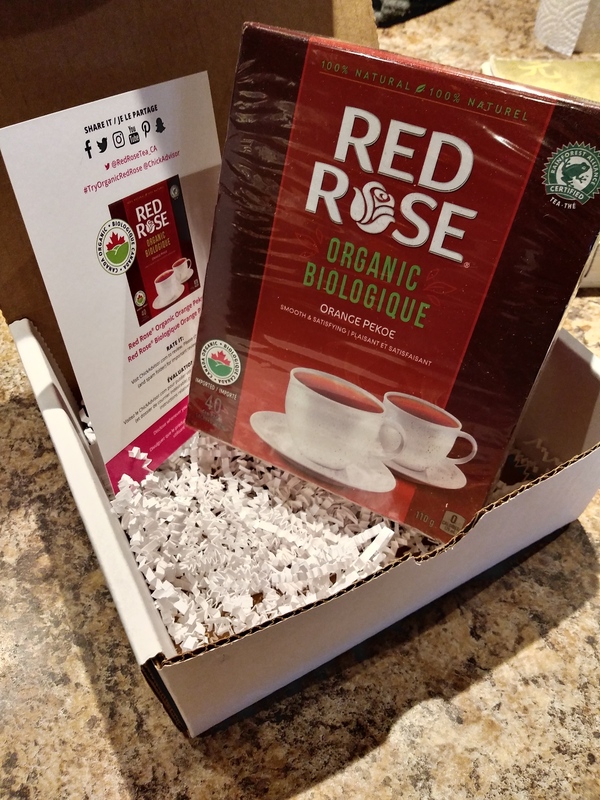 It’s always nice to know where tea leaves are from... so knowing that red rose now has organic teas is nice! While it’s generally not a super strong tea, I still enjoy it quite a bit because it’s what I grew up with. Goes well with a dash of milk or cream and I don’t even need sugar in it. 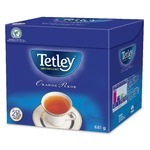 With all the fancy teas out these days, when it comes a cup of comfort... I just like red rose! 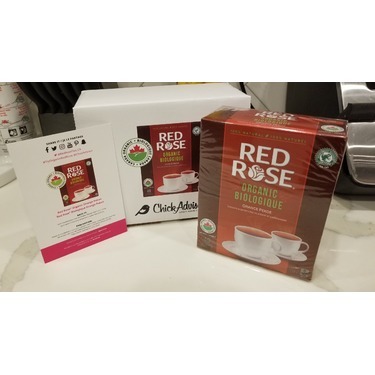 I haven't had red rose tea in a long time and i was quite suprised by how good it tasted. It has just the right amount of flavour and is very calming in a way. I had it 2 times during the day and my family also enjoyed it with me. 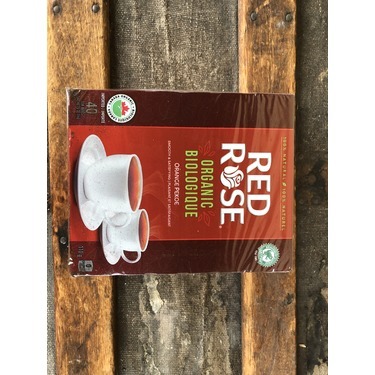 It is also well priced in stores and this red rose is a brand I will look for again in stores!! I drink both tea and coffee daily, and have recently started selecting those grown organically. This tea produces a very flavorful cup that is not diluted. I have offered the tea to friends who have also enjoyed! Tastes the same but organic?? Amazing! I can’t believe it! 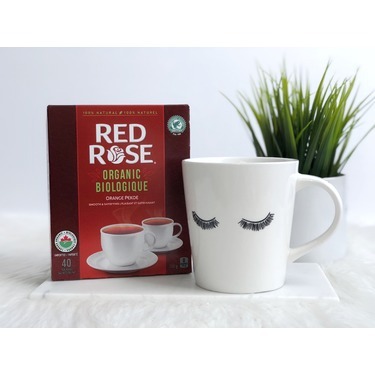 This red rose organic orange pekoe tea tastes exactly the same as the regular tea! 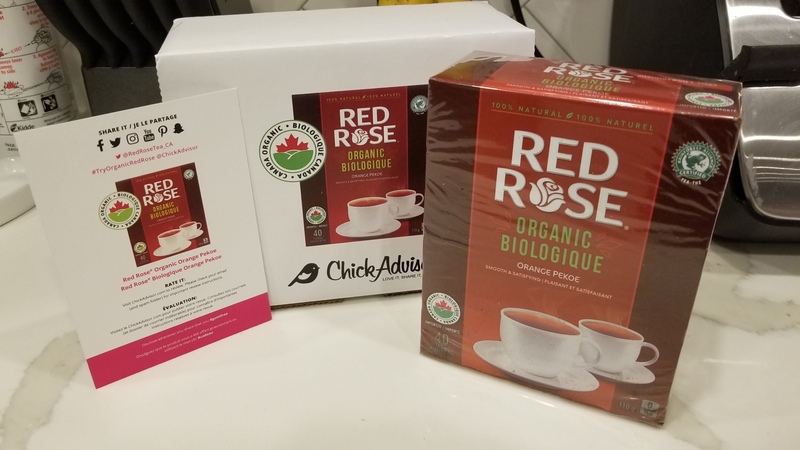 Honestly that’s something I was worried about going into this review because I have found that some organic alternatives, while better for you, don’t have the same flavour that you look for in the classic teas. All in all I was pretty happy with it and enjoyed it with milk as per usual. 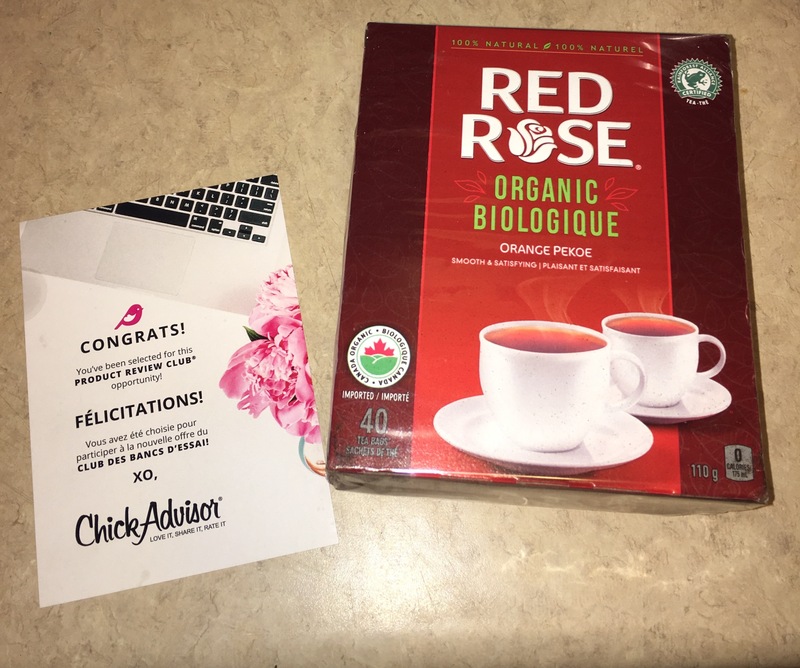 Thank you to Chickadvisor for sending this product to me for free! 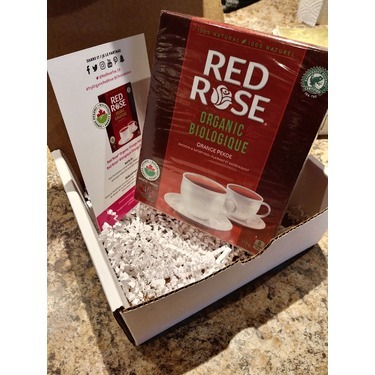 I received the Red Rose organic orange pekoe tea through the product review club. 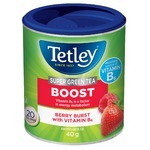 I really like the taste of the tea - strong without being overpowering. The packaging is familiar and reminds me of my childhood. 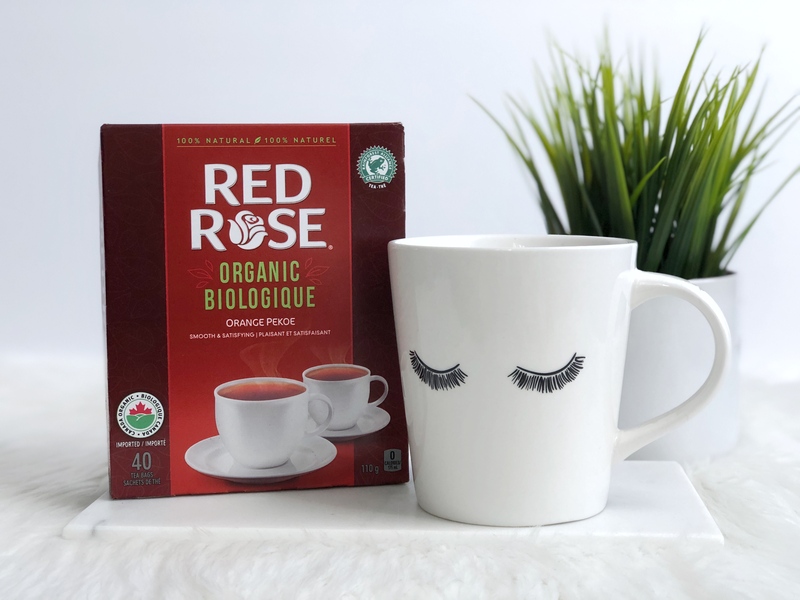 I love that this tea is organic without having sacrificed the classic Red Rose taste and aroma. I am a huge tea drinker and prefer black tea in the morning instead of coffee. It has to be strong, bold and brew up dark to be a winner in my books and this tea is all of those things. 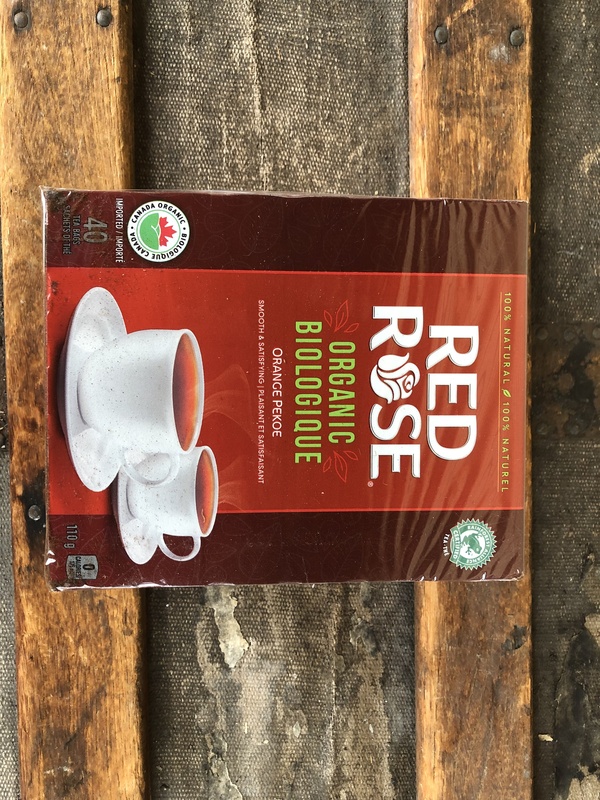 I was very happy to see that Red Rose had an organic version. 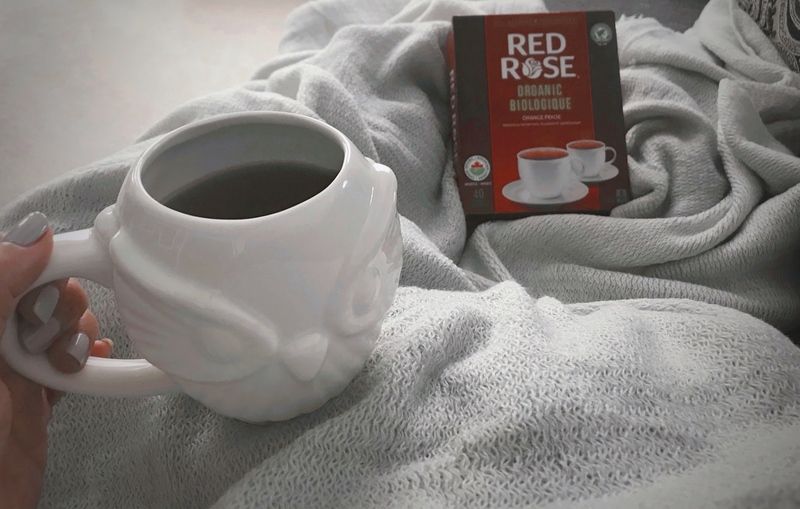 Red Rose is what I consider a traditional black tea. It's what black tea is supposed to taste like in my opinion. The organic version is just as classic as the original. It has a smooth, rich taste and brews up nice and strong. I like mine with a bit of cream and honey which mellows the flavour a bit. 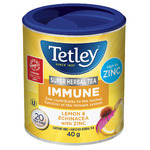 I'm thrilled that I can enjoy this tea without the worry of any chemicals. Two thumbs up! I received this product for free to test and review but my opinion is my own. 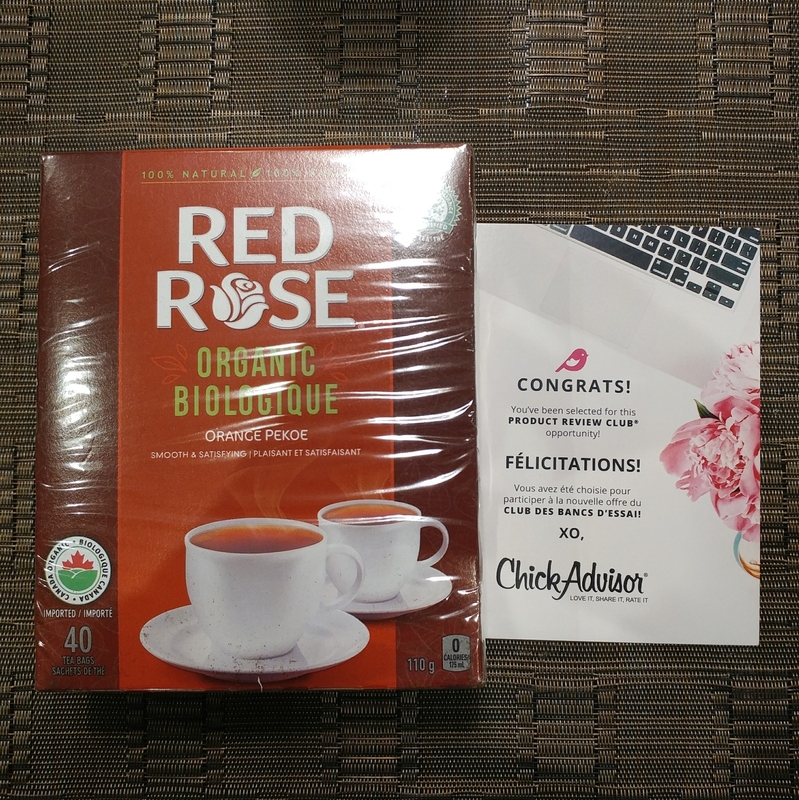 I received this tea from Chickadvisor in exchange for my honest opinions. I like to consider myself more a tea person than a coffee person because I drink tea every single day. 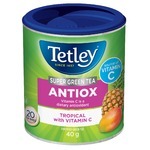 I usually go for flavoured teas and don’t really experiment much. I was however extremely happy to have received this and now I feel I should adventure out a bit more in order not to be devoid of any great products like this one. The fragrance is perfect where it’s not too subtle or overpowering. It’s perfect and fresh. It may come off as a bit bitter if too concentrated but I usually put in a drop or two of lemon (I usually do this for all my tea) and the taste is perfect. I also appreciate the fact that this is organic. I would definitely recommend it to friends and family. I received the Red Rose Organic Orange Pekoe Tea. 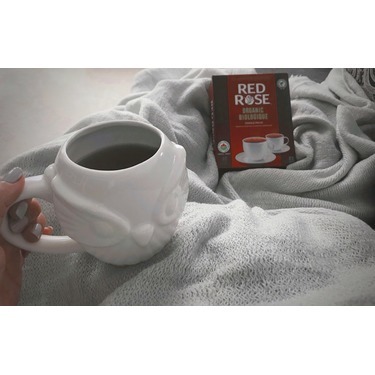 I love it and would recommend to anyone that loves tea. I tried it with milk and sugar. I also added the tea I. Ice trays to freeze and used in my water to give it a fresh taste. I also added to my muffin receive instead of adding water to give it a moist feel and taste. Excellent product. 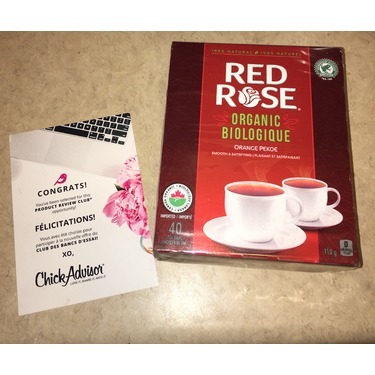 I will definitely be our has g this product once I'm done with the free product I received from Chickadvisor. 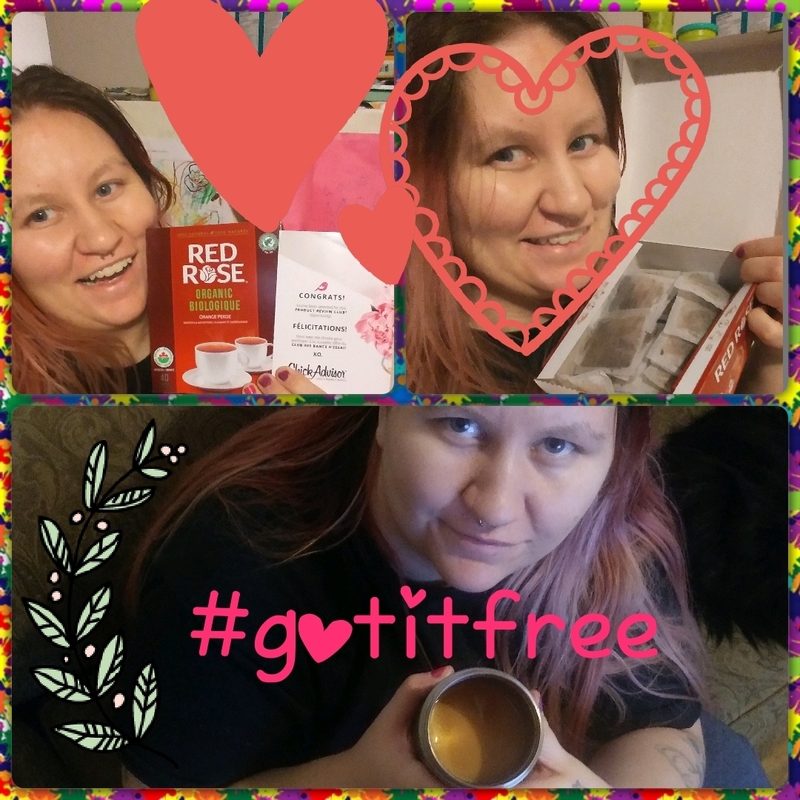 Thanks for giving g me this amazing product to try. 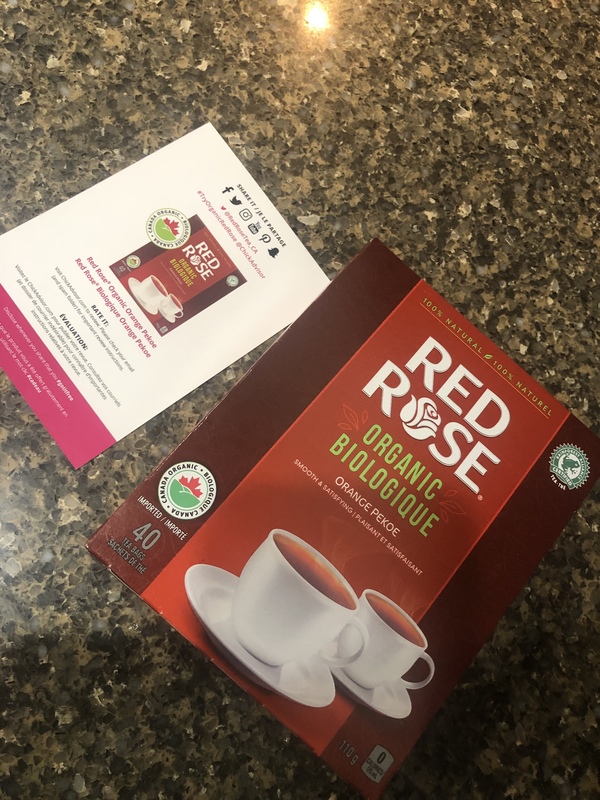 I was thrilled to see that Red Rose had come out with an organic black tea. I love black tea and drink it most days of the week. I never really considered organic teas before, mainly because I just didn't come across them or even think about it. It makes sense though since I always keep organic products in mind when it comes to food. This tea has a hearty taste. Not too strong, not too weak. At first, I noticed a hint of bitterness to it but after the first sip I didn't notice any bitterness. Maybe just an adjustment to the flavour. 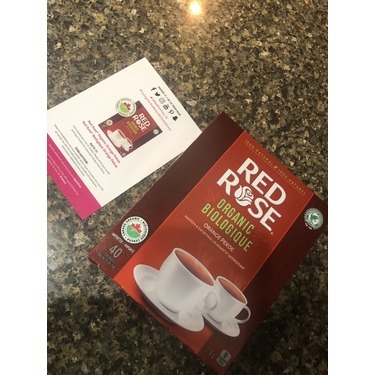 I would love to see this tea in earl grey as well as black decaf and earl grey decaf and I will purchase it on the regular to avoid all the harsh chemicals and pesticides that I sure don't want in my body!